Artist and parent Jeff Sewell’s commission for the Thurston class of 2017. The graduating class of Thurston Middle School pays homage to the history of plein air painting in Laguna Beach by giving the school “Laguna Morning,” a work by award-winning artist and Thurston parent Jeff Sewell. 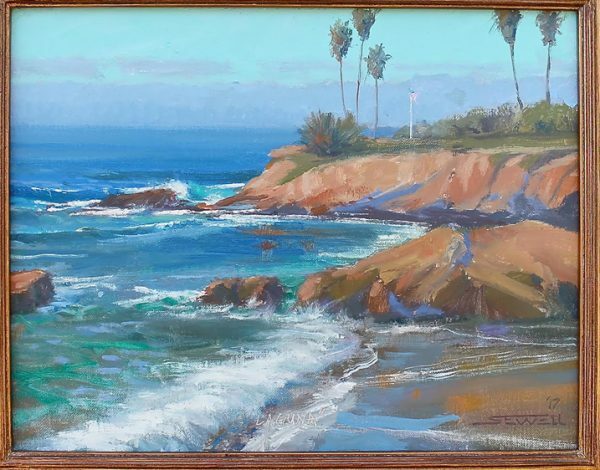 Sewell serves as the Laguna Plein Air Painters Association education director. “I’ve always thought that the local schools should start their own plein air collection since its such an important part of our local heritage,” said Toni Kellenberg, LPAPA president. Sewell is one of only four living artists whose work is included in The Irvine Museum’s permanent collection. The painting was presented during the eighth grade promotion ceremony that took place at Thurston on Thursday, June 22, and will be on display for years to come. Schoolpower’s fundraising success continues to enrich local schools. The school district received a donation of over $750,000 last week for the coming school year from Schoolpower, announced the fundraising group that supports local public schools. SchoolPower President Taylor Pillsbury and Endowment President Chris Clark made the presentations at a recent school board meeting. 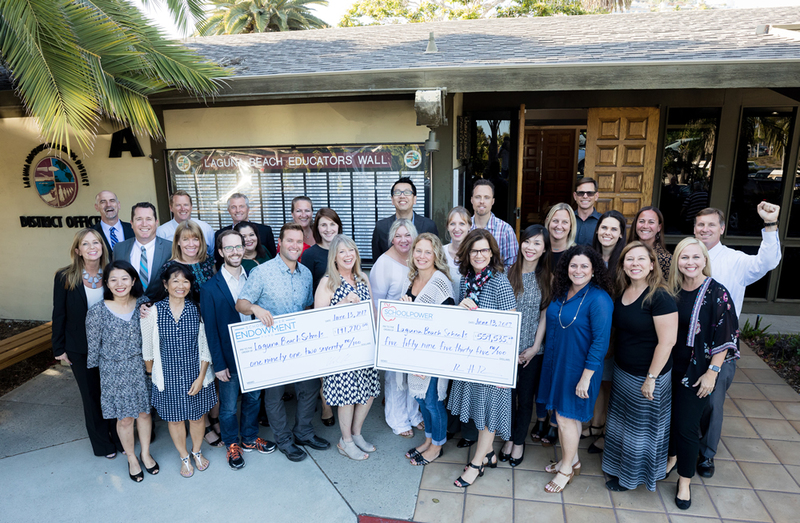 Clark presented 23 awards totaling $91,198 for proposals from teachers. Examples included requests to underwrite Ozobot robots, where students learn computer coding, to visits from jazz musicians to a culture fair. Jake Dameshek received an award for student of the month from the Laguna Beach Rotary Club. 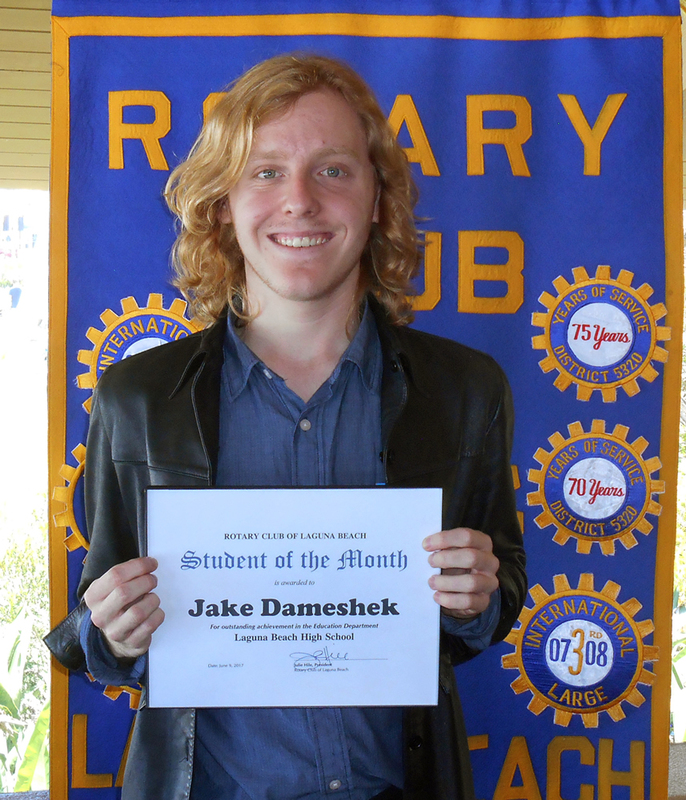 Jake participated in the dance show and pep assemblies and was crowned Homecoming King. He is successful in video production class and contributes to Breaker Live episodes. UC Irvine’s Division of Continuing Education will offer a test preparation program this month to prepare students, alumni, and professionals for the rigorous ACT, SAT, GRE, LSAT, and GMAT exams. Students can enroll in an online or classroom-based course of their choice. All participants receive free instructional materials as a part of their enrollment. The University offers free test strategy workshops as part of the program, which are open to the public.